Lemons are fresh in season now and they are loaded with vitamin C! Perfect for these winter months. A great tip, as you may know, is to start your day with a warm glass of lemon water to clear the toxins and start up your metabolism for the day! We’ll I have just made a super yummy way to add on and up your detoxifying lemon goodness. 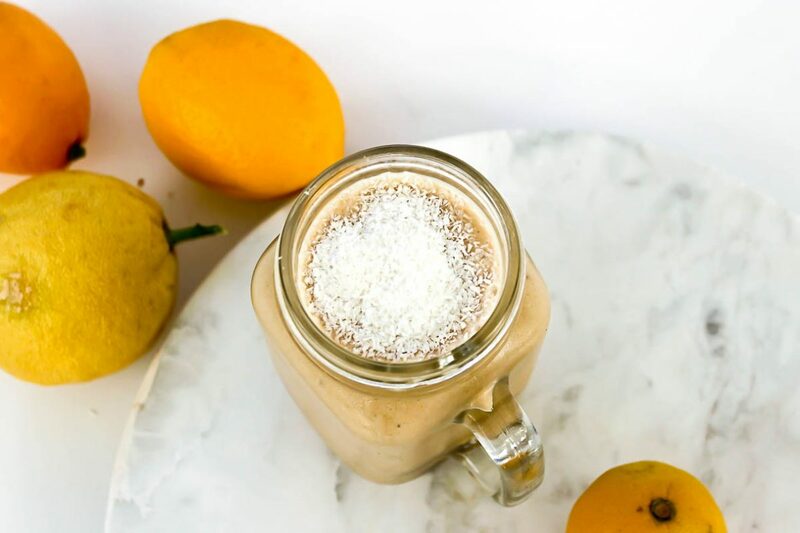 This smoothie is super light and honestly taste like a lemon meringue pie! Its so balanced and deeeeeelish! Side Note: When making this smoothie, it is important to use Organic Lemons. As we are using the zest of the lemon. if you purchase commercial lemons they will contain numerous chemicals AND wax! Which is almost impossible to remove completely? That is something you do not want in your body!! Also ensure you are using fresh lemon juice! Add all ingredients to your nutribullet or blender. Blend for 1 minute and Enjoy!